HomeLatest from key partnersDigital Revolution in Agriculture: Fitting for Agroecology? 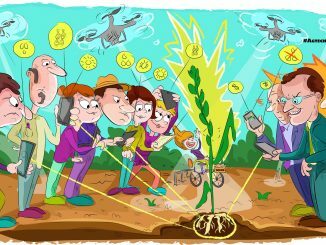 Digital Revolution in Agriculture: Fitting for Agroecology? Digital technologies in the agricultural sector are highly promoted. However, do they offer a dimension of real sustainability, as regarded within the agroecological approach, or is it just another business trend? These new technologies are clearly market-oriented and they bring farmers dependency on costly tools, mostly not affordable by smallholders farmers, while the decision support tools they offer, often ignore ecological processes, being simply based on models for optimizing conventional production and creating unintended needs. However, alternative examples of digital innovation that support sustainable agriculture can exist as an alternative strategy, especially when the development of innovative tools includes a peer-to-peer planning framework and user involvement within the reach of an Economy of the Commons. A new phase of agriculture is promoted by the industry and innovation policies in Europe and worldwide, promoting the development and integration of Information and Communication (ICT), sensor-based and data technologies. Many stakeholders refer to this integration of hi-tech solutions in farming as “Agriculture 3.0”, leaving behind Agriculture 1.0, the main form up to 1920 with manual labour, and Agriculture 2.0 following, also known as Green Revolution. Indeed, this new trend has become currently a mainstream narrative of innovation in agriculture, including all sorts of novel high-tech approaches; cloud computing, specialized software, drones and Internet of Things, all presented as promising tools to increase yields, reduce costs and, notably, promote agricultural sustainability. The EU also appears willing to provide a suitable environment through policies which strongly facilitate the development of “smart farming” and data-driven business models in agriculture. Consequently, this has created an ambitious, and often opportunistic, business “ecosystem”, consisting of a diverse mix of specialised larger or small companies, entering the agricultural sector with a variety of promises for solutions to important agricultural and environmental issues, aiming at a share of the new market, created by the neoliberal approach of delivering profit and entrepreneurship opportunities out of new topics. That includes also a “share data” and “open source” approach, not with the intention of sharing, but for ensuring the possibility these new stakeholders will be able to “extract value” from this raising market. 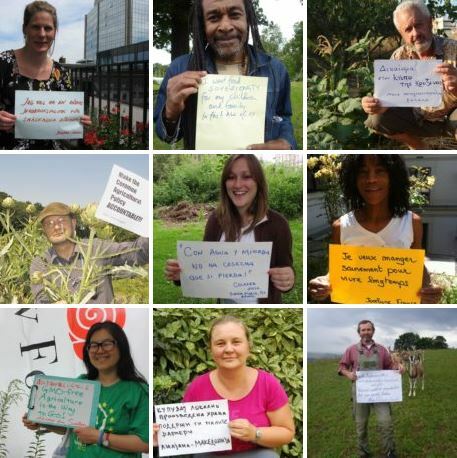 On the other hand, agroecology as an emerging concept providing a holistic approach for the design of genuinely sustainable food systems not simply seeking temporary solutions that unambiguously will increase environmental performance and productivity. It stands mostly as a systemic paradigm of perception change, towards full harmonization with ecological processes, low external inputs, and use of biodiversity and cultivation of agricultural knowledge. Additionally, agroecology emphasizes independent and grassroots experimentation, and not the reliance on high tech and external suppliers, with a high degree of dependency on additional support services. 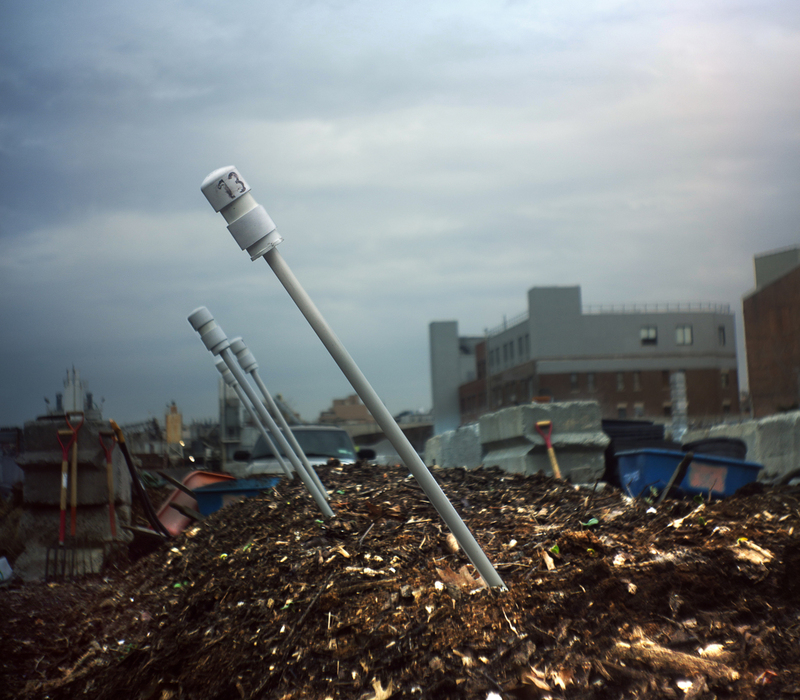 Obviously, the new “sustainable” approaches and promises of digital technology and big data could be considered as focusing mainly on conventional, industrial-scale agriculture, allowing only large-scale farmers to thrive at the expense of smaller ones, while not having much to do with the transition towards truly sustainable and resilient food systems. However some alternative examples of digital innovation in agriculture focusing on agroecology-based approaches also exist, including open source agricultural technology initiatives (farmhack.net), collaborative projects for the creation of technology solutions and innovation by farmers (l’Atelier paysan) or research projects using data technologies to promote biodiversity and sustainable land management. Considering the above, important question marks are raised whether digital solutions fit within the agroecological concept, or they are inherently non-compatible with a strong sustainability approach in agriculture, and to what extent and under which framework such digital innovations may play a role in the transition towards truly sustainable food systems. Consultation on the topic* recognized that the main barrier to consider to the use of digital innovations in agroecology is related to the lack of autonomy. Farmers may lose control of data provided by vertically developed and hierarchically-based decision support tools that often largely ignore ecological processes and are mostly based on optimization of production models. In addition, the cost of technologies is often not economically viable for individual farmers, especially for the small ones. However, automation of specific production processes and the use of high-tech equipment had and may still have some positive impact on the quality of farmers’ life. The main issue is related to how the innovation process to develop a specific technological tool is evolved. The attribution of power relationships in the development of innovative tools, a peer-to-peer approach and the user’s engagement to technology development, often called user innovation, can definitely be used to give power to all actors collectively involved in developing an innovation. We also keep in mind that digitization is no miracle, no more than classic tools are; innovation lies in the creative process, not only in the tool itself. There is a need to work on methodologies to develop a responsible innovation system that allow the technologies to respond to real users needs and not to create needs induced by the technology developers. The main issue is who takes the lead in the innovation system that develops the new digital solutions. Digitization may also be an opportunity for democratization of knowledge, and agroecology is a knowledge intensive system in which information and data should be specific to the local context. As an example, climate change is an issue that requires a global perspective to solve local problems, but many other natural and ecological processes ask for this approach. Hence, the main issue raised is how to decentralize digital innovation and transform it to a public tool of knowledge exchange, complementary to personal and individual-to-individual processes rather than a substitute to them? An opportunity is offered by the Economy of Commons approach (see here also) – when actors can give and receive back data related to the combination of data collected from different stakeholders. The capacity to combine open data in a way that is useful for farmers at local level can be of interest for agroecology if the technology will work for and from the communities. The point that makes a difference is the role of rural communities in the innovation process; are they just clients and potential users or main co-innovators? * Discussion and consultation on the issue in the relevant workshop, held at the 1st European Forum on Agroecology, Lyon, France, October 26, 2017, with the participation of various academic organizations, organizations and producers, and with presentations by Vassilis Gkisakis (Dr. agronomist, Agroecological Network of Greece, organizer of the workshop), Nicolas Sinoir (L’atelier Paysan), Mariateresa Lazzaro (Dr. agronomist, Scuola Superiore Sant’Anna, Pisa, Italy) Livia Ortolani (Rete Semi Rurali, Italian Seed Network). 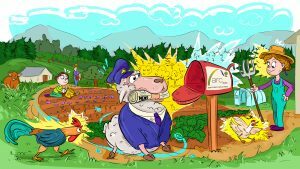 This article originally appeared on the website of the Agroecological Network of Greece (Agroecology Greece) consists a network and a platform aiming to promote Agroecology as a science, practice and movement, in Greek. 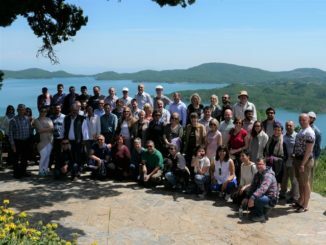 Its purpose is to network agricultural scientists/trainers, in order to exchange information, knowledge & research that will familiarize the principles and framework of agroecology in Greece and promote the transition of food production systems towards a truly sustainable form, integrating food sovereignty and security principles. Vasileios Gkisakis, Agronomist (MSc, PhD): Vassilis specialises in Sustainable Agriculture and Agrobiodiversity, with a background in Food Science. He worked previously in the organic farming sector, while he has collaborated with several research groups across Europe on organic farming/agroecology, olive production, biodiversity management strategies and food quality. 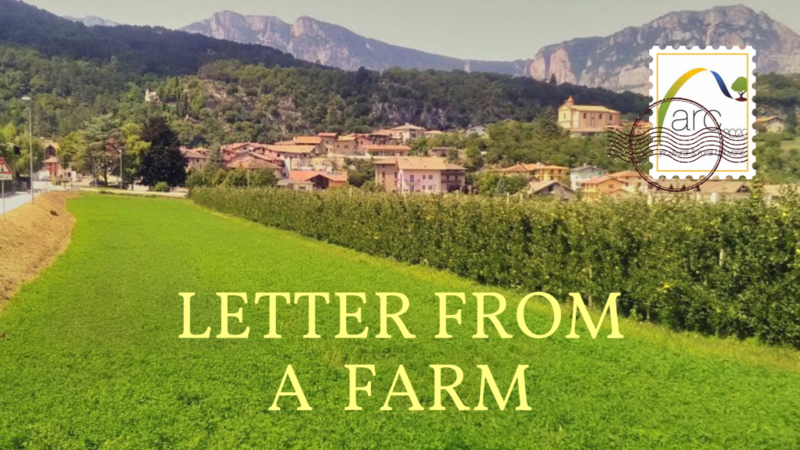 He is a contracted lecturer of i) Organic Farming and ii) Food Production Systems in the TEI of Crete and visiting lecturer of Agroecology & Sustainable Food Production Systems in the Agricultural University of Plovdiv. He is official reviewer in one scientific journal, Board member of the European Association for Agroecology and moderator of the Agroecological Network of Greece and also the owner of a 20 ha organic olive and grain farm. Drones & CAP Compliance – savvy surveying or surveillance state? 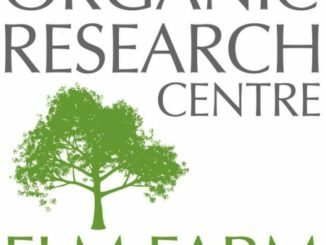 Are Sustainable Intensification & Organic Farming compatible?